Rome Termini station parking is the best solution to spare you the hassle of this traffic whilst saving you time and money at the same time and is located close to the train station. The car parks offered for Rome Termini station are monitored, covered and secure. The entry of different sized vehicles may be allowed, please check the parking pages. Booking your parking space for Rome Termini train station is easy: just select the days and times of your stay in the parking and get a quote. A few clicks later and your parking space is booked and waiting for you to arrive! Rome Termini is an important station not only on an Italian level; it is in fact the second major European train station after Paris, in terms of passenger numbers and standard of services offered. 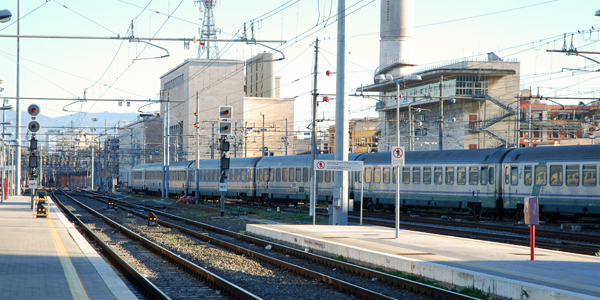 Rome Termini train station offers very high standards and comfort to its passengers. You will find an info point, ticket offices, bureau de change, banks, and even shops and restaurants for you to look around whilst waiting for the train.